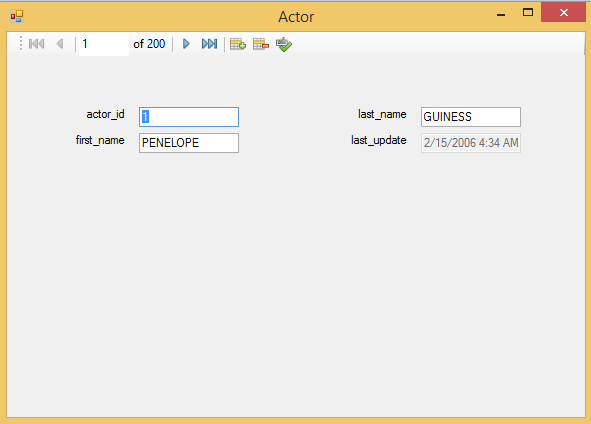 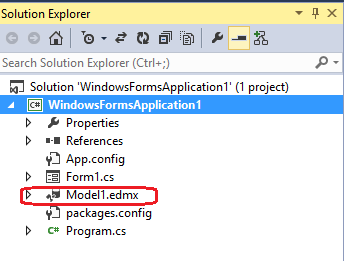 You can create the MySQL Entity Framework model under the root path of the project. 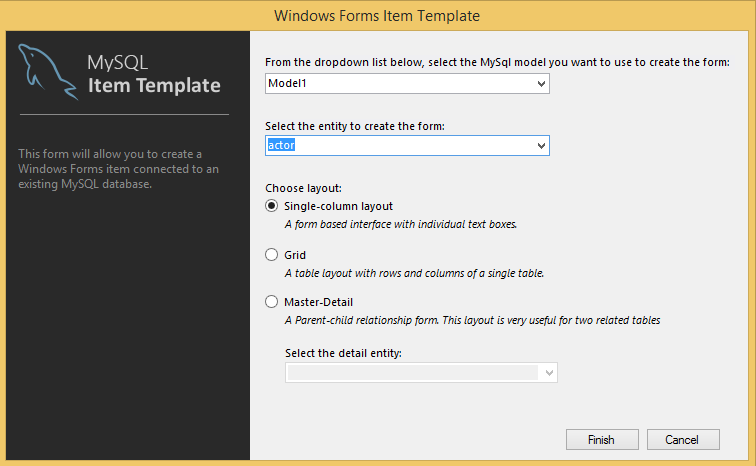 When selecting the desired entity, you can also select the layout type in which the new form will display de entity data. 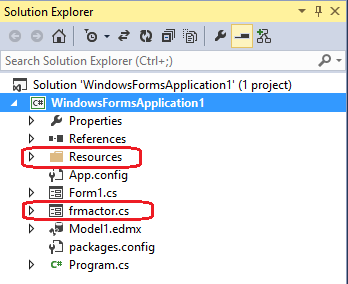 A Resources folder is added to the project that contains images used by the icons for the generated form. 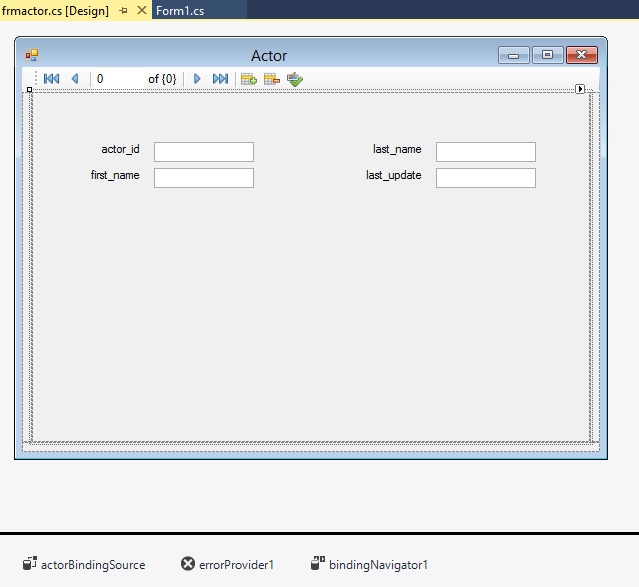 The new form will have all the necessary back-end code to display the entity data, with the user interface (UI) based on the previously selected layout.